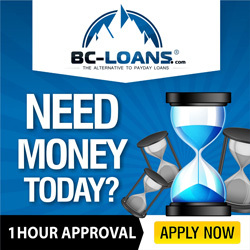 Payday loans allow individuals to acquire a quick injection of cash without a long approval process. Payday loans are seen by many as crippling thousands with debt which they cannot pay off. Both of these points are correct, and therefore it is critical when considering any form of loan that you are completely aware of the consequences of such an agreement. Payday loans are advertised by lenders as a “great option”, but in truth they are costly and can financially cripple any individual. 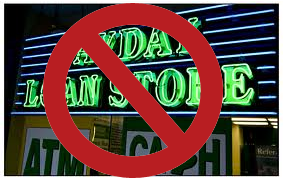 High Interest Rates: Payday loans are notorious for their use of highly questionable interest rates. These can be as high as 1000% annually, which can be very difficult to pay back fully. Debtors must be certain that they can pay these rates back under the terms of the loan. Many lenders will advertise “low interest rates” but this is normally just a tactic to attract debtors, when in actually fact most loans will be given out at much higher rates. Bad Credit Rating: Credit ratings are involved, even when not used to secure a loan, and will be adversely affected by any late payments. Heavy Handed Debt Collection: It has been reported that even some of the largest payday loan companies have taken part in heavy handed debt collection methods. This can involve debt collectors visiting the homes of debtors to claim their possessions up to the value of the defaulted payment. Spiraling Debts: A payday loan can result in a worsening debt problem. Debtors pay the amount owed with their next wage, which results in not having enough money left to meet their financial responsibilities. When this occurs, the debtor may apply for another payday loan and the constant cycle of debt continues. This is a precarious situation as most applying for payday loans are already in debt to some degree or other. An Addiction: There is increasing evidence that payday loans can become an addiction. Debtors quickly realize that they can easily source money in the short term, then worry about the problem at a later date. This would be fine if there were no consequences of late payments, but there are – some debtors have tried shutting down all of their bank accounts in order to disconnect from the payday debt, but this has just resulted in loan companies taking the debtors to court. Payday loans are a fast and easy way to acquire money, but there are serious risks attached to the process. Debtors should look to alternative short term loan solutions, as well as debt counselors to help them out of their financial problems more directly.